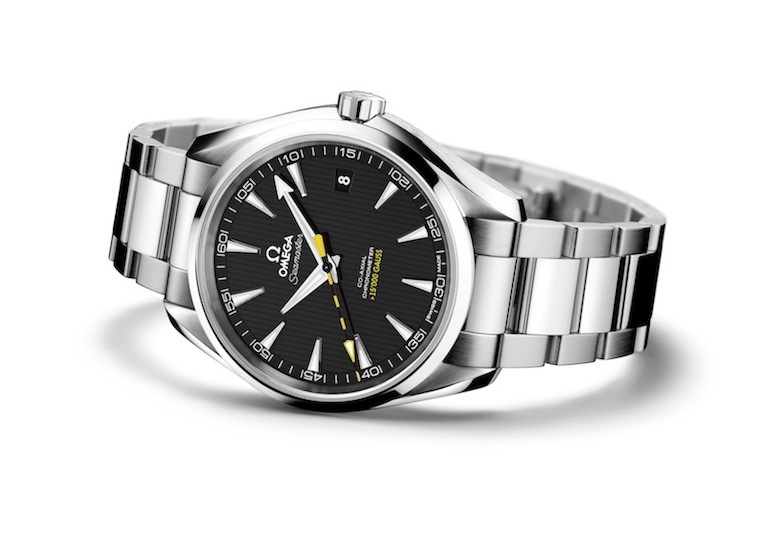 Today, though, Omega’s announced a watch that sets a new record: the Aqua Terra watch shown above, introduced at a press conference today in Geneva, is rated to a staggering 15,000 gauss –for those of you who (like us) don’t want to do the conversion, that’s 1,200,000 A/m (amperes per meter.) The previous record was held by IWC’s Ingenieur 500,000 A/m. Above, the development team for the project, which included Omega as well as the Swatch Group’s stand-alone R& D center, ASULAB.